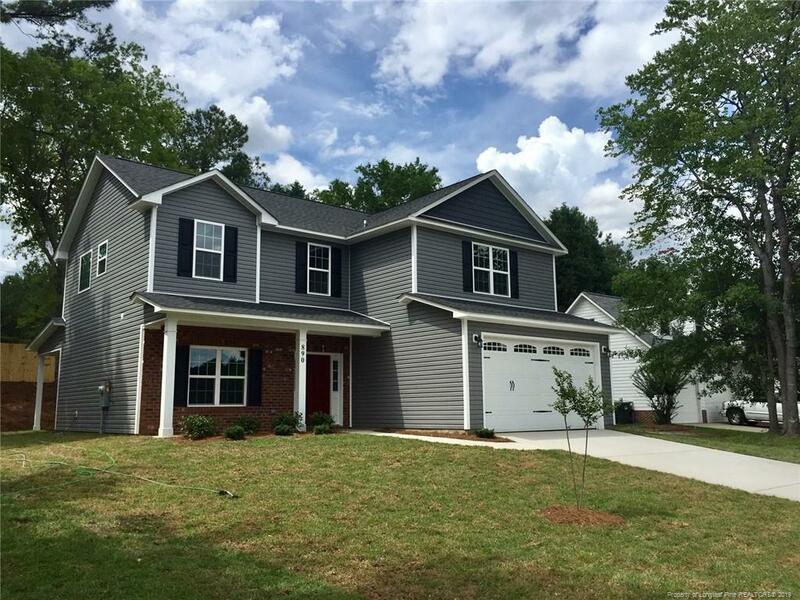 New home in established neighborhood of Stonebridge! Excellent location, close to shopping, restaurants, Cape Fear Valley Hospital and easy access to Fort Bragg. Covered porch leads to formal dining room, open great room with electric fireplace. Kitchen has granite counters and stainless steel appliances. Upstairs holds master bedroom with walk in closet, bath with garden tub, separate shower, PLUS three more bedrooms and laundry room. Rear fencing. Directions: From Robeson Street, Turn Onto Levy Street, Left On Trainer Drive, Left On Dark Branch Road, Left On Duval Street. Home Will Be On The Left.